Bree: I chose New Zealand for multiple reasons. Besides hearing from friends who had visited that it is a beautiful country, New Zealand is a location in the world that I have always desired to travel to. New Zealand is situated very near to Australia and Fiji, locations I also dreamt of visiting. Bree: My first impression of them was that of relief. Finally, I had found a smaller business that was not focused on making money, but rather helping bring others to New Zealand to love and appreciate all aspects of the country. All enquires via email, Skype or live chat were answered quickly and with great efficiency. Bree: After realising that a bus pass might be a great idea, as I did not know anyone other than new acquaintances at the agency and the fact that I was travelling alone on the other side of the world, I was able to get a great off-season deal with Stray Bus and I am glad that I did. 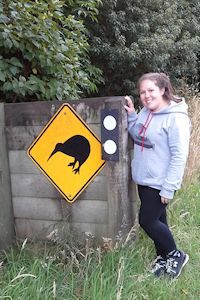 I enjoyed the trip on the bus, as I saw all of the highlights of New Zealand that I wanted to, from the far north of Cape Reinga and the East Cape of the North Island to as far south as Stewart Island. The drivers were all Kiwi and knew exactly what they were talking about. I did not feel that I was on a typical tour bus group, but rather with a group of international friends. Bree: I would describe their services as personable, knowledgeable, professional and efficient. The team were there for me whenever I needed, for just about any question or concern that I had. Even after I had been in the country a few weeks, I was still in contact and now feel that my advisor and I have developed a friendship rather than a business relationship. I was not a number, but a person. 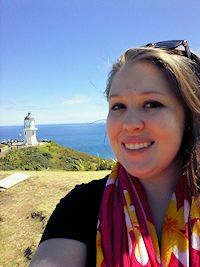 Bree: The best thing that they did for me was to take the time to personally Skype me multiple times prior to purchasing their starter package to make sure I felt comfortable with all questions answered, as well as with the company itself. Bree: The best activity was skydiving in Abel Tasman on the South Island. Bree: The best advice that I would give to someone is to do research PRIOR to arrival. Know the places you want to spend time, cost of travel, where are the best places to stay, etc. Do not solely rely on just going with the flow, as there may be times where events are going on and accommodation is fully booked, or you need to book a bus pass ahead of time – not just showing up the day. Also, have a budget and stick to it! The cost of living in New Zealand is rather high, but can be managed if you are well prepared and have proper finances. What was your biggest challenge?. Bree: My biggest challenge was by far finding a job. Bree: From this trip, I have found many new lifelong friends all over the world, embraced a new and exciting culture, as well as learned to appreciate and value what comforts I am spoiled with at home in the USA, for example, accessible WiFi everywhere! What is your favourite spot in NZ? Bree: The most memorable locations for me were the far north (Cape Reinga and Paihia), Queenstown, Franz Josef and Stewart Island. So much to see… I cannot pick just one! Bree: I would recommend the starter pack to friends, for the price paid is a great value and services will not come to a halt after the completion of orientation!